Walking in Gongenmichi Road from Teramachidori Road, Shinhosan Hosenji Temple is the first temple along the road. Gongenmichi Road that Ieyasu Tokugawa, the founder of Edo Bakufu, used to go hawking and he had visited this Temple to take rests. 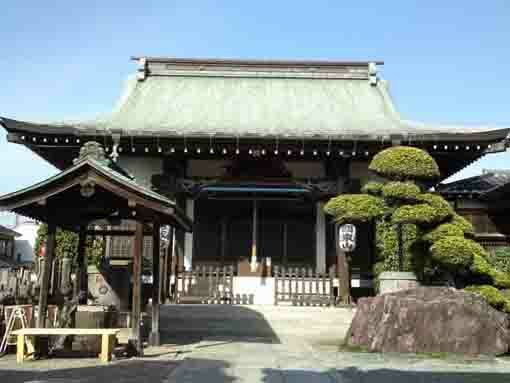 There had been Gongendo Hall for him to rest in this temple at that time. 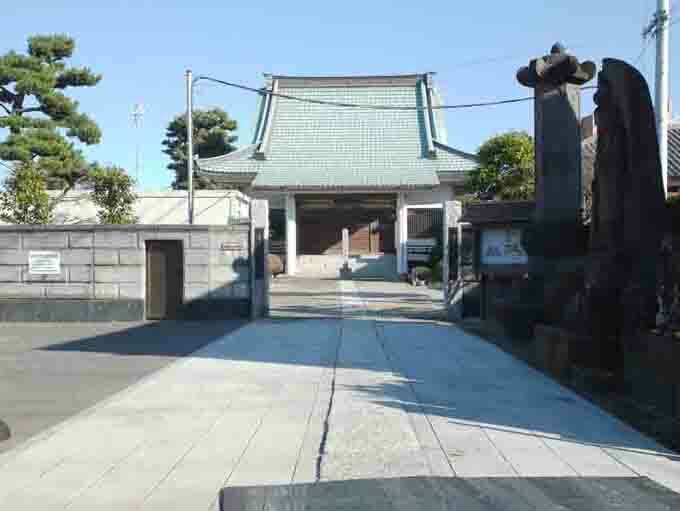 Moreover, Shihosan Hosenji Temple is the 13th temple of the 33 Pilgrimage in Gyotoku and Urayasu. 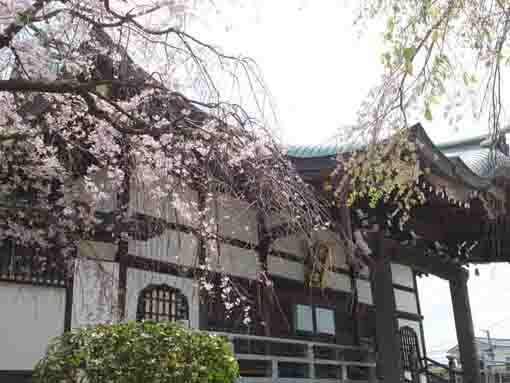 Why don't you visit Shinhosan Hosenji Temple? 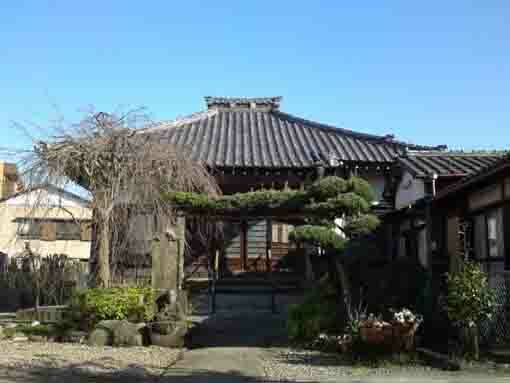 Shinhosan Hosenji Temple was built in 1570 by the venerable Tokuyo. 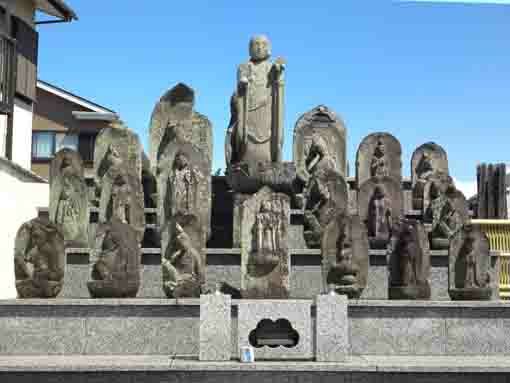 The principle image of the temple is the statue of Amidanyorai. 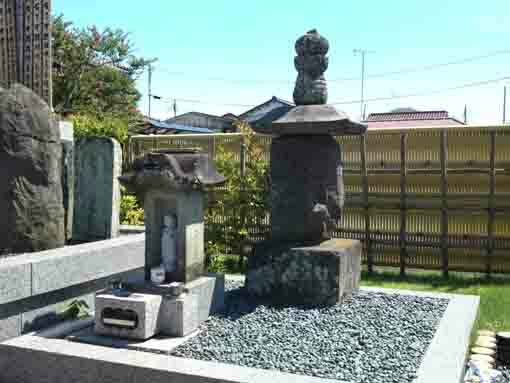 Ieyasu Tokugawa, the founder of Edo Bakufu, visited Hosenji Temple 3 times to take breaks on the way to go hawking at Togane in Kazusa province. 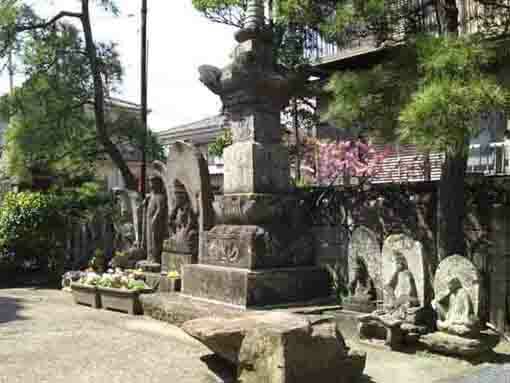 The narrow road running in front of this temple is called 'Gongenmichi' since Ieyasu was called 'Tosho Dai Gongen'. Osegakie (a mass for lost souls) is held at July. Urabone (the Bon Festival or the Feast of Lanterns) is held at July and August. Higane (the equinoctial week) is held at March and September. 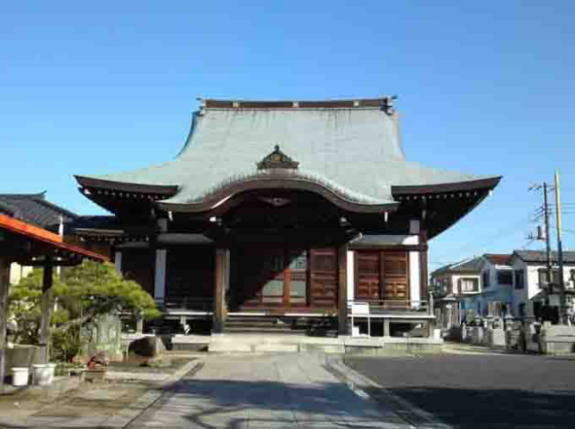 Shihosan Hosenji Temple is the 13th temple of the 33 Pilgrimage in Gyotoku and Urayasu. 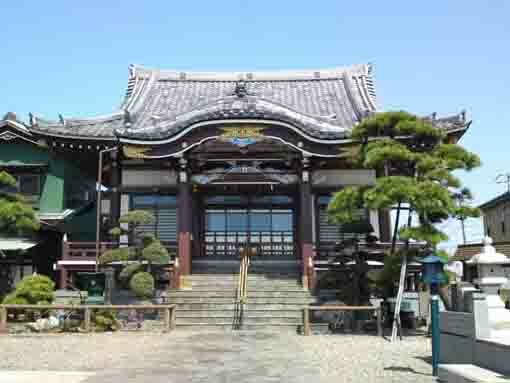 Shinhosan Hosenji Temple has a great accessibility from both Narita and Haneda International Airport. Take 8 minute walk from Myoden Sta.